Universidad de Guadalajara (UdG) is the second largest and oldest university of Mexico. The university has its campuses spread out over the Mexican province Jalisco with the main campus in Guadalajara. The city that is nicknamed as the “Silicon Valley of Mexico”. The university is located in a vibrant city attracting large companies and innovative startups at the same time! The university stands out in their web impact. 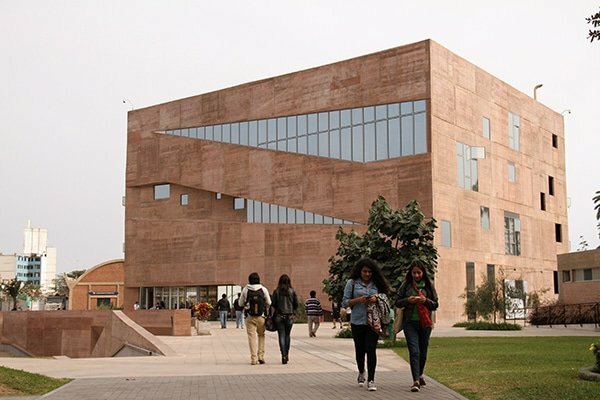 Being located in the tech hub of Mexico, the university resonates well with the city’s reputation. UdG is known for its Virtual University System that they implemented overall 15 campuses across the province. This system provides education programs at distance to many students enrolled at the university. 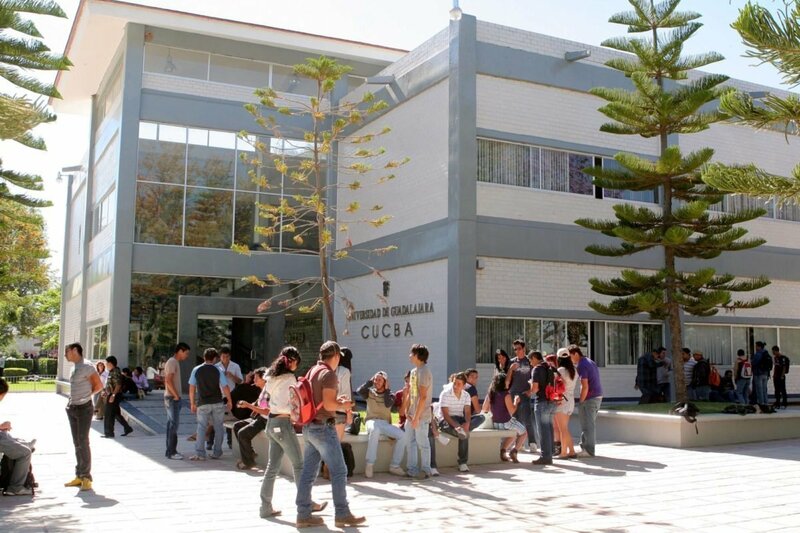 As mentioned, Universidad de Guadalajara is located all over the province Jalisco. The main campus in Guadalajara is separated into six different areas of study. These are art, architecture and design, biological and agricultural sciences, economic and managerial sciences, exact sciences and engineering health sciences, social sciences and humanities. To see which location your subject of interest is matching with, you can check this page from the official website of Universidad de Guadalajara. UdG offers a wide range of sports facilities. It is co-owner of the Jalisco Stadium, which hosts many of the sports played by teams from the university. The stadium also hosted matches from two FIFA World Cups, one in 1970 and one in 1986. With its capacity of more than 55,000 spectators, the stadium is home to the university’s soccer team and former winner of the Mexican League named Club Atlas. Besides soccer, the university also offers other sports facilities and clubs to join. This ranges from swimming, to basketball, to cycling and many more. It’s too much to name, so there’ll be definitely something you’d like to join! Besides sports, UdG also offers ‘Editorial Universitaria’. This is a publishing house that spreads out papers, manuals, academic texts and more to contribute to the society. This helps UdG to be more recognized worldwide. UdG also organizes an international book fair. This nine-day long event is the largest Hispanic book market in the world! While books are being bought and sold, the university tides the bond between Mexico and other Hispanic countries. Every year the organization of the event selects a country or region of honor. The list of facilities doesn’t stop there. Universidad de Guadalajara offers many more. From theaters to museums. I invite you to explore the endless possibilities at this university yourself! The student life in Guadalajara has many advantages. One of them is the low cost of living. Mexico in general is relatively cheap, which is beneficial to students from many Western countries. With a city that has so much to offer, you’ll be glad that your Euros are worth a lot more than when you would have spent them at home. The city itself already offers a variety of historical buildings and squares and lucky you that they are all strategically located! The sights are all around the four squares that are to be found in the city. Before I’ll dive deeper into the nightlife of Guadalajara, there is another relation between your student life and booze: Tequila! This is a small town close to Guadalajara and is definitely worth a visit! The nightlife in Guadalajara is also great! Going out provides you a mix of drinking with locals,discovering the Mexican culture and going out in clubs. To start your evening right, we recommend you to go to a place called Cantina La Fuente. This is a typical Mexican bar where locals are enjoying a great atmosphere, cheap beer and of course tequila. This place is perfect for getting to know the Mexican culture, while having a great time! If you are more of a raver and likes to bounce on techno all night long, Bar Americas might be your place to be! This underground club shows Mexico’s best techno artists for you to enjoy! Maarten has done a semester exchange at Universidad de Guadalajara and would be happy to answer any of your questions. The university is well represented in the rest of the world through partner universities. Here’s a list of all the partner universities of Guadalajara. If you scroll down, you’ll find the tremendous amount of German, Dutch, Belgian and Spanish partnerships. If your university is partnering with Universidad de Guadalajara, chances are big that you can go on a semester exchange while not paying the extra tuition fee for Universidad de Guadalajara. The semester exchange varies in the location where it is given. Depending on the field of study, your campus will be at one of the university centers throughout Jalisco. As mentioned earlier in this article, most of the subjects are given in Guadalajara, but it would be wise to first check which subject of study belongs to which university center. After you have enrolled at the university you are asked to select the 4 or 5 courses you prefer. There is also an indication given of the time of the classes, so you’re able to spread out all the courses over 4 short days or fit it all in 2 long days. The workload and the education level might be lower than you are used to in your home country, but if you would like to learn Spanish and meet new people then this is the place for you. Finding housing in Guadalajara is not too difficult. Guadalajara is not unfamiliar with international students so there are many organizations offering student housing. These houses could be shared with national and international students. Besides, Mexico’s cost of living is cheap. While Guadalajara is slightly more expensive than other cities due to its attractiveness for foreigners, the housing is still between 200 and 300 EUR for a single student room. Because Stijn Wollerich, co-founder of Tellanto, also lived in Mexico for a semester exchange, he understands what the perfect housing would be and what houses you should avoid. Therefore, we want to help you out with finding the best housing for the most awesome experience in Guadalajara. If you click here, you can check out the student rooms that we’ve selected based on student criteria! Good post. I study one thing more difficult on completely different blogs everyday. It would always be stimulating to read content material from other writers and follow a little something from their store. I’d prefer to make use of some with the content on my weblog whether you don’t mind. Natually I’ll provide you with a hyperlink in your internet blog. Thanks for sharing.